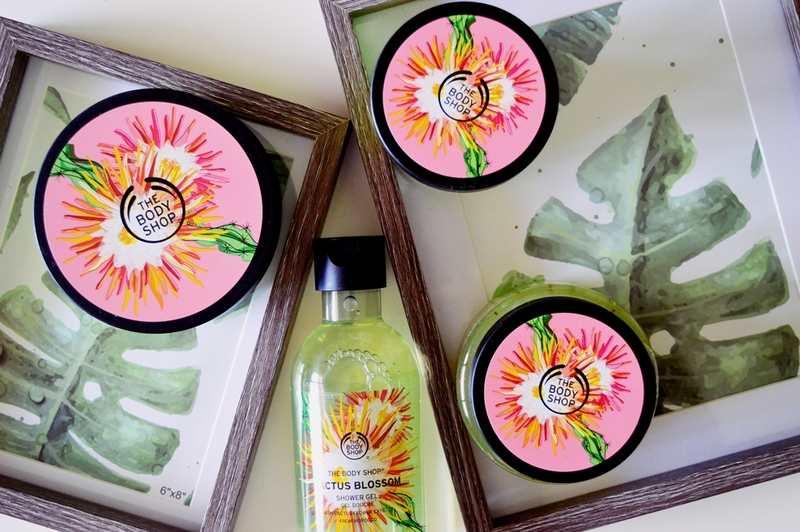 ﻿ Cactus Blossom; your new favourite range from The Body Shop! If I have said it once, I have said it a million times; I am THEEE queen of The Body Shop. Come on, try take my crown. However, last week this queen was highly affronted when a brand new range from The Body Shop landed on my desk and I – GASP – had never seen or heard of it IN MY LIFE. Thankfully I got over the shock quickly and was able to admire the insanely gorgeous packaging. Honestly, just how stunning is this new Cactus Blossom range!! I thought nothing would top the 2018 ‘Fall For Pumpkin’ Vanilla Pumpkin packaging but this lime green and bubblegum pink range has swooped in and stolen the crown. I seem to be using an incredible amount of royal-themed descriptive words today. One must be incredibly excited. 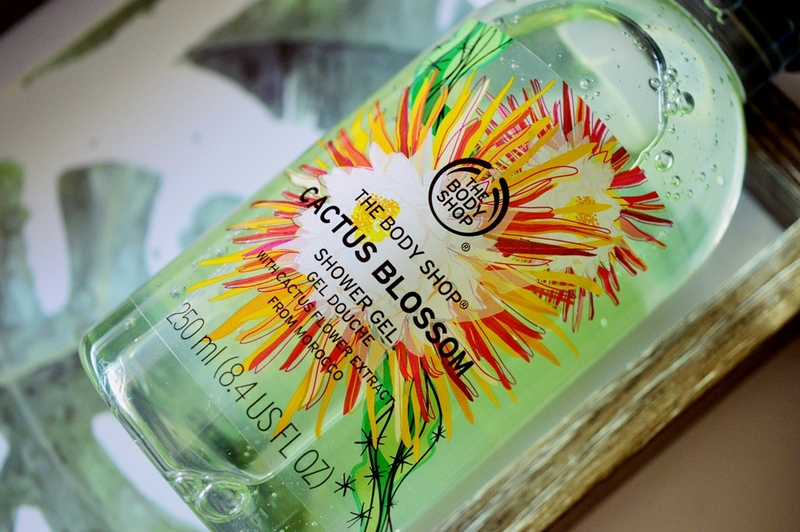 The Cactus Blossom range hits a scent that is unlike anything else the Body Shop has previously launched. The fragrance triangle is made up of starfruit, hibiscus, cardamom, musk, vanilla, star fruit – and, of course, juicy cactus blossom – and it hits that perfect note of tangy yet sweet. Pretty much what everyone wants from their bathing products, no? 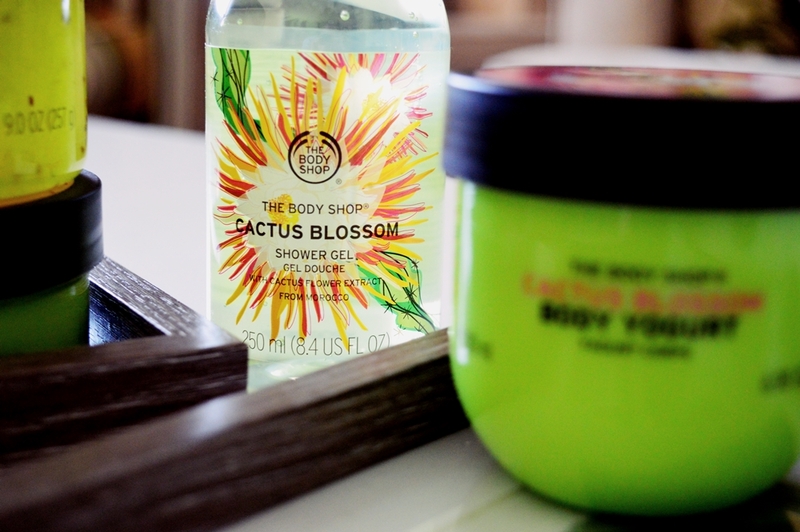 Apart from the hand cream, Cactus Blossom has been released in pretty much every capsule range of product that The Body Shop stocks; Body Scrub, Hand Wash, Shower Gel, Body Yoghurt and the ever-beloved Body Butter. Personally I was THRILLED to see Cactus Blossom released in yoghurt form! Since their yoghurts launched in May 2018 I have been a huge fan. I have gone through two tubs already! It is extremely lightweight, adds moisture for up to 48 hours (it truly does) and costs only R150. The yoghurt is also 100% vegan. 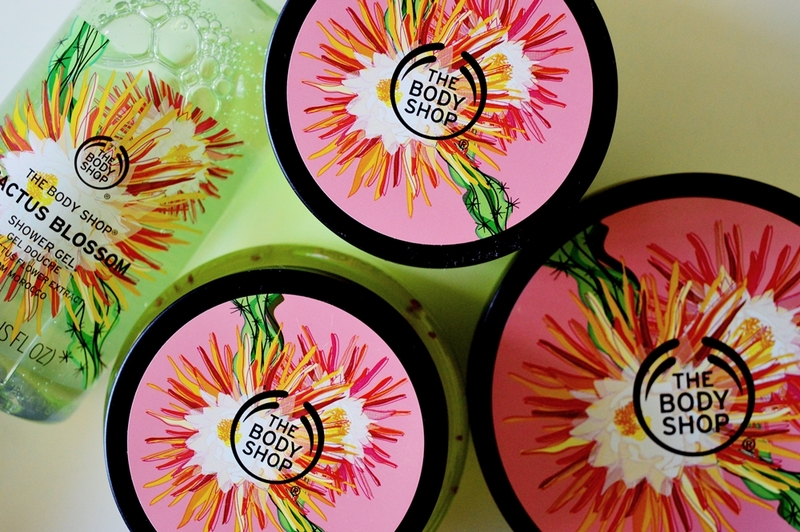 Another fan favourite for me is the Body Scrub (R215); a jelly-like gentle scrub which still gives a good all-over buff. 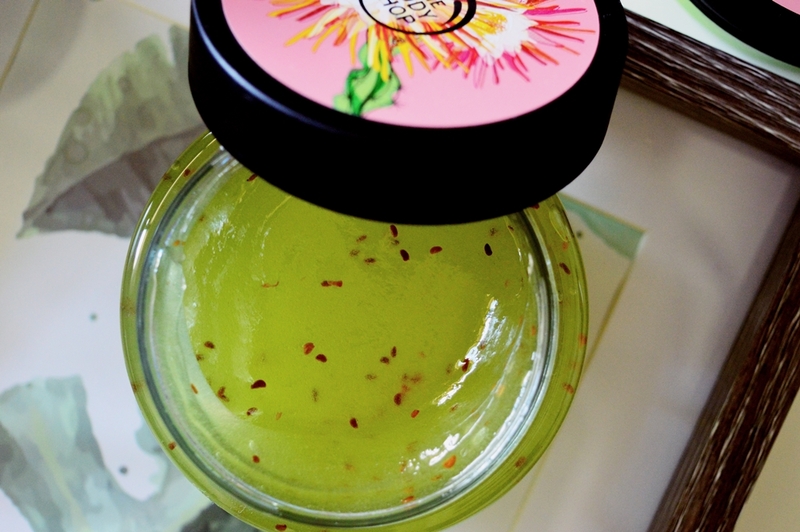 Even though the scent is alike throughout the range, the body scrub is slightly tangier. All this means is that when you wash your scrub off with water, the scent remains the same as the other products. I always have multiple TBS Shower Gel options on the go and this has been a happy addition to my shower. The Shower Gels are extremely cleansing but do not leave that sticky soapy feeling behind. Just an absolute favourite for me across the entire brand range. And one bottle easily lasts me a month or so. The Cactus Blossom range has been on shelves since 4th February 2019. So it is still brand new and who doesn’t love being one of the first to play with new products? Have you had a chance to sniff this range yet? Let me know in the comments if you plan to pick up a few items from this collection! I need to smell this!!! I love the vibrance of the green…the packaging is so cute! I need the body scrub…asap! And yes Rayne, you are definitely the queen of The Body Shop! !